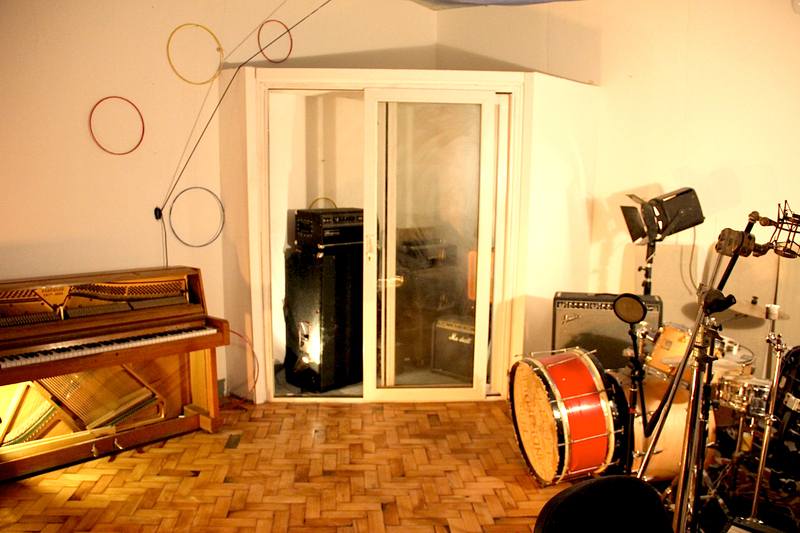 123 Studios features a spacious live room, a large control room with fully soundproofed programming and writing rooms. The main studio makes use of a great selection of high end preamps, along with a mix of vintage and modern microphones to record to the very highest standard. The computer set up is also second to none, with a state-of-the-art HDX rig, running Pro Tools 10 on an 8 core mac pro with 32 channels of the new Avid HD I/Oconverters. 123 has a choice of summing and desk options for recording and mixing. An SSL X-desk and X-panda gives up to 40 channels of the more modern/clean SSL sound. The all-valve “Fat Bustard” offers 14 channels of pure tube bliss. It is also possible to insert all theNeve and API clones across any of the channels for that vintage transformer saturation sound. It’s modern studio set up that is extremely simple to use. The range of 500 pre amps can now be moved from the rack in the control rool to the rack in the live room to insure the highest signal path quality. A technique for getting the best possible signal from the microphone to the recording source with minimal loss. All the studios XLR leads are either Mogami, Canare, Belkin or handmade quad cores cable made with the highest spec componants as every step of the signal path is vital. The live room acoustics are easliy changed by an adjustable ceiling drop to cater for the type of room sound needed (up to 4 metres high). The mix room was purpose-buiit with minimal parallel surfaces and full ceiiling bass trap for optimum monitoring. The design is based on the rough same shape and size of Miloco’s Engine room mix studio. (a favorite room of many top mixers for it’s amazing monitoring). If you are a fan of recording in the same room as the band it is actually possible to do a full band set up in the control room, it is that big! All back line is available at no extra cost. The studios are available for hire at flexible and affordable rates. Artists recorded at the old 123 Studios in Shoreditch include , Florence and the Machine (Island), Daughter (4AD), Swim Deep (Chess club), Clean Bandit feat Jess Glynne (Atlantic), M.I.A (Interscope), Eliza Doolittle (EMI), Rita Ora(RocNation), Say Lou Lou (Sony), The Kooks (Virgin), Labrinth (Sony), Noisettes , Jamie T (Pacemaker), Dry the river(Sony), Splashh (Luv Luv Luv), Jack Bruce (Cream) , Mutya, Keisha and Siobhan (the original Sugababes), Violet ( Luv Luv Luv ), Roisin Murphy (Moloko), Marcus Foster (Communion), Kyla La Grange (Chess Club/Sony), Shuga (Luv Luv Luv), Funeral Party (Sony Music), The Black Ghosts (Southern Fried), Wolfgang (Atlantic/Warners Records), Iggy Azalia(Island), Ghostpoet (Brownswood), Skepta and Ed Sheeran (Atlantic).